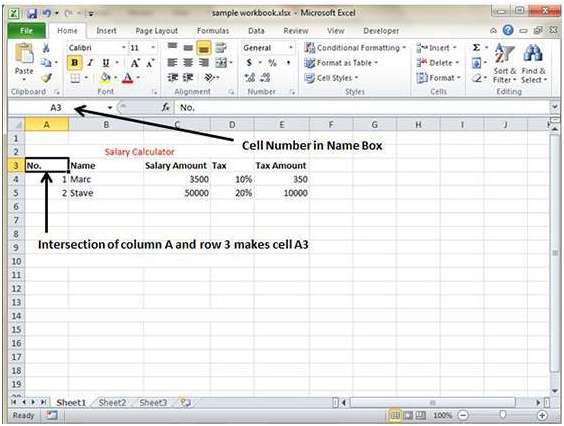 MS Excel spreadsheet is in tabular form that consists of rows and columns. A row happens to run horizontally while column runs vertically. Each row can be identifies by the row number placed at the left of the sheet while column is identifies by the column header which is placed on the top of the sheet. 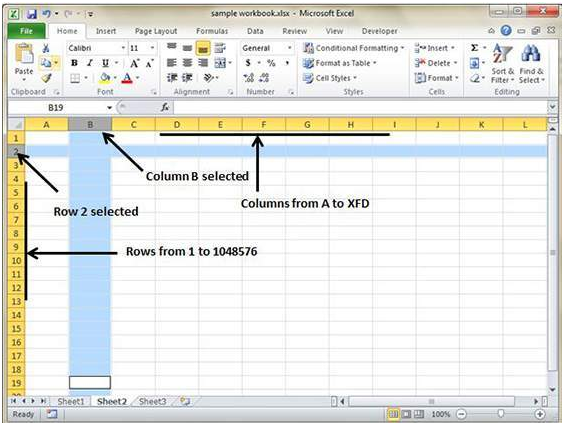 MS Excel 2010 offers Row numbered from 1 to 104857 and column range from A to XFD and in total 16384 columns. Let us show you how to get to the last row or column. • Simply clicking on Control key + Down Navigation arrow will take you to the last row. • Simply clicking on Control key + Right Navigation arrow will take you to the last column.